The following comments about attractions in Naxos have been posted from individuals. We believe that the best reviews of Naxos, Greece are written by travellers and holiday makers who have experienced Naxos first hand and want to share their thoughts. Can you share yours? Please help us expand this section of our Naxos World Guide. Let us know what you think about the attractions in Naxos, Greece. 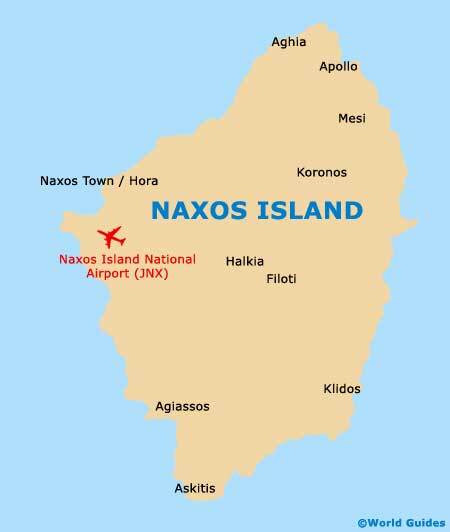 Submit comments about Naxos attractions here. You are so right! My husband and I have been coming here for years and will hopefully continue doing so for years to come. The food, the weather and the scenery make it a great holiday destination. The beaches are sensational too; perfect for the sunset romantic stroll. What a beautiful island Naxos is, I will definitely be coming back again next year, one of the best holidays we have been on, completely hassle free and the weather was superb. Next time we are going to leave the kids at home and make the most of the romantic backdrop that is Naxos. I will most certainly be coming back to this little gem of an Island. It has everything needed for that perfect getaway. I just loved the old town with all its quaint little passage ways to get lost in. The restraints on the harbor have some great treats too. Naxos has some of the most beautiful beaches I have ever seen. They are certainly the best in the Cyclades. Imagine crystal turquoise waters and golden sand. A tip for visitors; head to the west coast for the top of the crop. We visited a nice little restaurant called Apolafsis, whilst on the island of Naxos. The menu was humungous and boasted some of the best Greek food that I had whilst in the Cyclades.